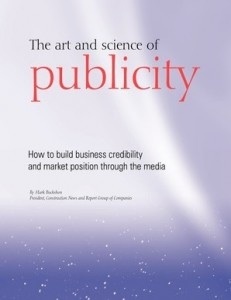 This booklet (you can download a pdf copy by clicking on the links) explains some of the basics about publicity management. 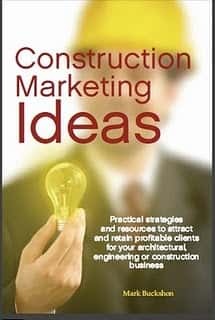 I’m writing this blog posting as we wrap up publication of three Canadian regional construction industry titles. 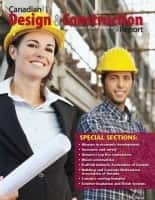 We’re getting the job done — pulling together the final proofing edits and making sure everything reads smoothly, before sending the image files to the printer, and the content files to our offshore-based website manager, who will post the news on the different websites. This morning, however, I ran smack up against one of the biggest and most challenging aspects of the publishing business — the sorting out of journalistic integrity, marketing, and publicity/editorial management. I can break one of the journalism rules I learned way back when learning the craft: No one, other than the editor, should review or interfere with the news copy before it is published. If you interview someone on the record, you write what your notes show; without referring back to the person (or his/her boss) for approval before publication. If the story is sensitive, or could be libelous, you might want to test the story with the publishing company’s lawyer, and be sure everything has been documented properly, but the story only can be seen by the subjects in it after it is published. Because I own the publishing business, I can change the rules (within my own organization, of course), and I’ve always believed that stories can be improved if they are thoroughly reviewed and fact checked by the people involved in the story before they are published. Generally, this rule-bending works quite well. Often I will write the story more quickly and proof-read it less carefully than I might otherwise, knowing that several other eyes will be looking at it. We catch real errors, typos, and sometimes misinterpretations. Today, however, someone made a change that effectively reversed the original intent. I had accepted a revision to somewhat disguise some wording, in part because they were made with candour in a semi-private event. Then the marketing department for one of the participants got involved, with a further rewrite, effectively misrepresenting the real reason for the problem. I said “no” to that change, and now we are exchanging emails back and forth as I re-clarify the rule-bending limits and editorial integrity guidelines. I realize a lot of people don’t understand the differences between marketing and journalistic communications, and in many (perhaps most) cases, the two communications models co-exist quite comfortably. After all, pure journalism has really strange qualities, business-wise. In the ideal journalistic model, we write on important issues without concern about advertising or business interests. This content attracts readers/viewers, and then advertisers — who provide the publishing company with revenue and pay the journalists’ salaries. The advertising and editorial departments are supposed to be separated, but everyone knows that editorial coverage (positive) has far more impact than advertising. This has resulted in the creation of the massive communications/public relations industry, and (at the publishers end), the increasing application of advertorials, or in the online/social media world, “native advertising” where editorial and advertising formats closely mimic and readers need to carefully review small print to determine whether the message has been paid for by the advertisers. There is both art and science in managing these interactions. They will be a topic of a future book, because I think the AEC community can learn a lot by understanding the subtleties of journalistic integrity, effective communications with the media, and powerful advertising/marketing techniques.